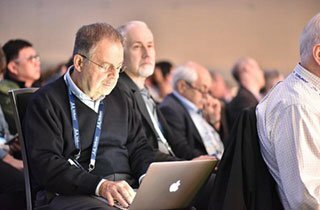 With an anticipated 13,000 researchers, students, professionals, and vendors convening next week at the Kay Bailey Hutchison Convention Center Dallas for SC18, electronic device safety is no trivial matter. SCinet, SC’s dedicated high capacity network, is built by a team of 225 international volunteers. 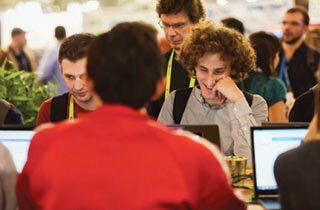 Those volunteers come from all areas of networking, including a team of 31 network security experts. 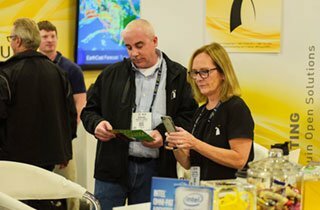 The SCinet Network Security Team offers the following tips for attendees and exhibitors to connect securely and safeguard their devices while attending SC. Be aware that SCinet is an open network, so security at the device layer is of utmost importance. Make sure your devices are up-to-date and patched at SC. Setting up your device to automatically update its operating system is highly recommended. Run the latest version of Chrome, Firefox, or any other browser you are using. Set strong passwords on any electronic devices you’ll connect to the network during the conference. Enable two-step authentication when offered. Consider using a password manager. Keep your mobile device secure. Backup your contacts, photos, videos, and other mobile device data with another device or cloud service before SC. Especially avoid exposing Internet of Things (IoT) devices such as printers, or similar devices without changing their default credentials. Avoid peer-to-peer transfer of data (such as Apple AirDrop or Microsoft Near Share) while using an open network. Don’t run unintended servers on your devices or otherwise allow users to see or discover files on your Mac and Windows devices. Protect your device with anti-virus tools. Avoid social engineering and phishing attacks: Verify web domains in links and email addresses. Be suspicious of unsolicited and vague messages. Do not provide your username or password or any other sensitive information via email. Abide by the requirements provided in the Acceptable Network Use Policy. If you have trouble with any of your devices while attending SC, visit the SCinet Help Desk located in Booth 2450.